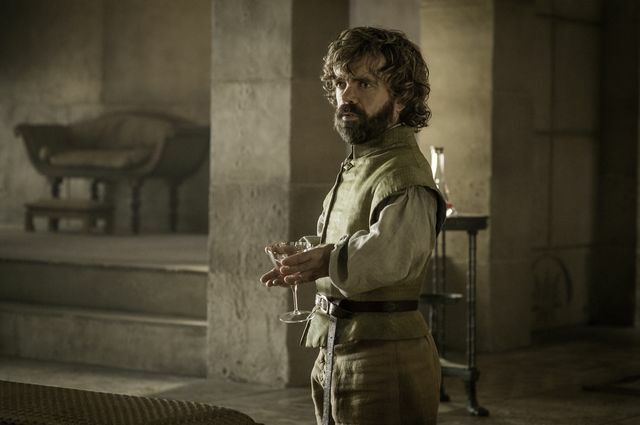 We didn’t get all the answers we were expecting in the season six premiere last week. However we did get to see what most of the characters were up to as well as plenty more questions to think about. 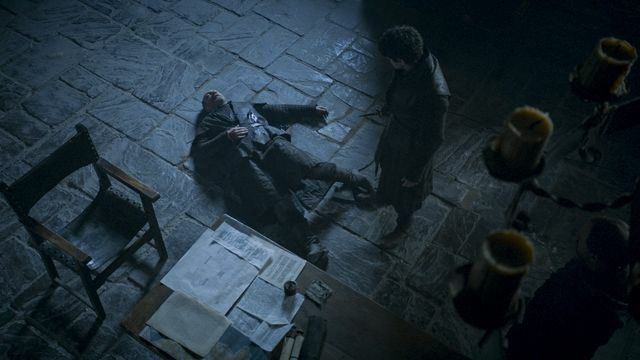 Thankfully the second episode finally answered the biggest question of them all, is Jon Snow dead for good? If you haven’t seen the Game of Thrones season 6 premiere yet and don’t want anything spoiled then please stop reading now. 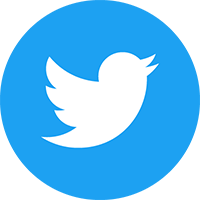 If you are up-to-date and want to relive the action then keep on reading. We mentioned our predictions for the second episode in our Home preview. 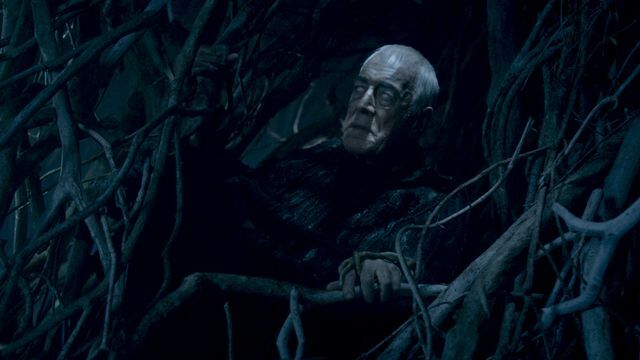 Episode two opened up beyond the Wall with the Three-Eyed Raven (Max von Sydow) and Bran Stark (Isaac Hempstead Wright) taking part in some kind of warging session. 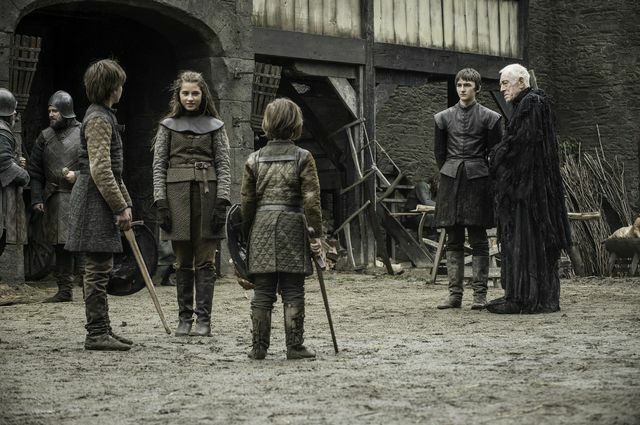 They were viewing a vision of Winterfell at a time that Ned Stark was just a boy. 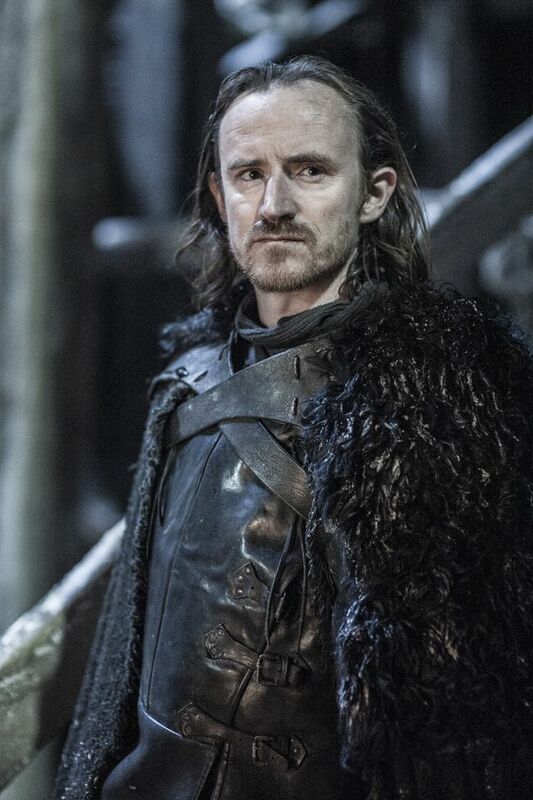 He was practicing fighting with his younger brother Benjen Stark. 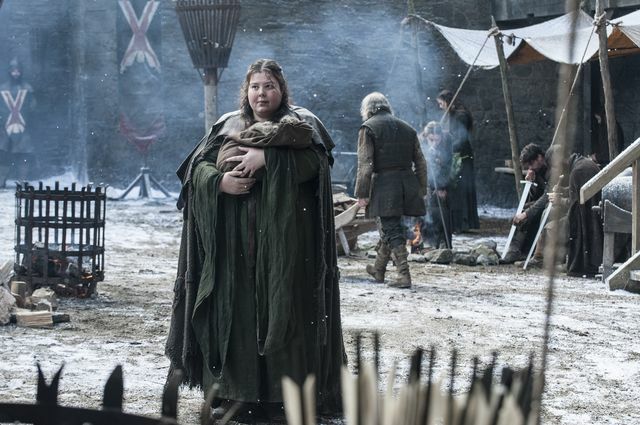 Also present was their sister Lyanna Stark and a young Hodor who we learn was called Wyllis. We also discovered that in his younger days he was able to talk and fight. 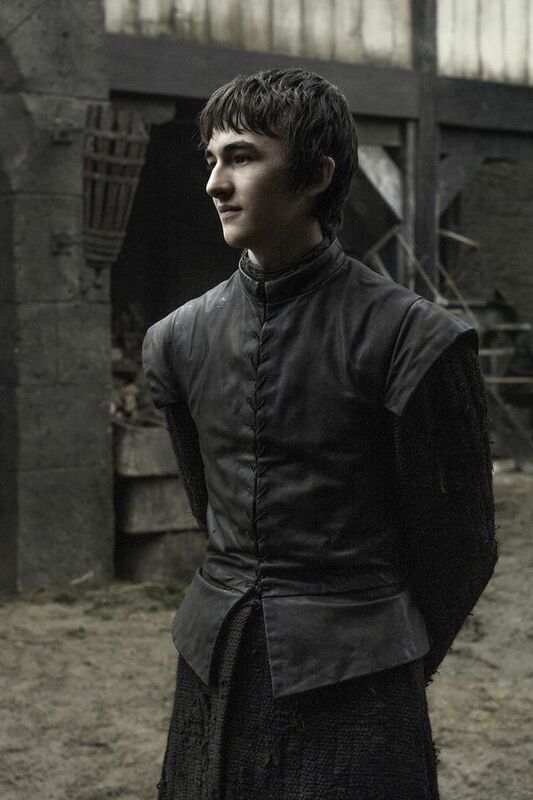 Bran was happy and able to walk around the vision but he was pulled out of it earlier than he would have liked. Sadly out of the vision Bran can still not walk and Hodor (Kristian Nairn) carried him outside to talk with Meera Reed (Ellie Kendrik). 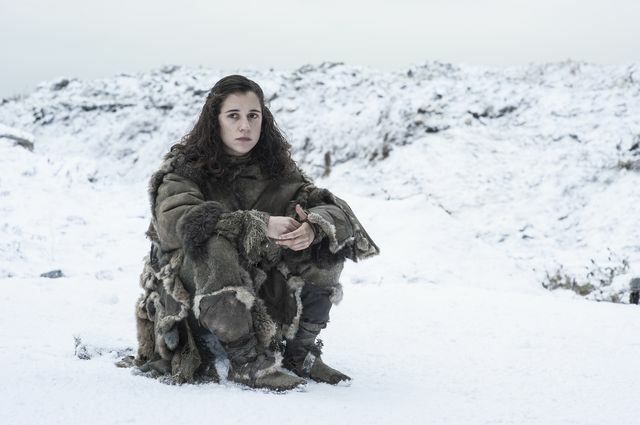 Bran told her it was not safe to be outside before Hodor carried him back in. She was told by a strange looking girl that Bran needed her. 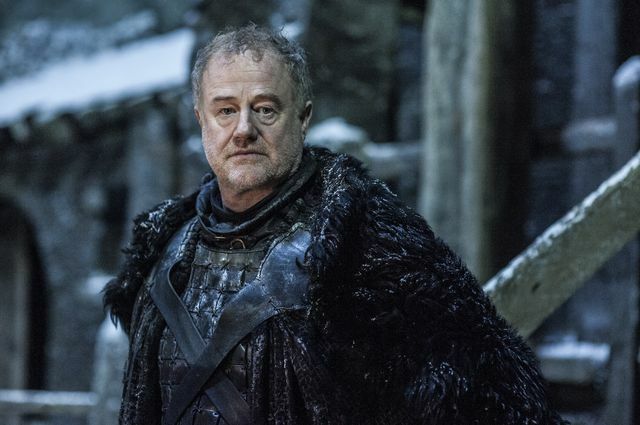 At Castle Black, Ser Alliser Thorne (Owen Teale) was out of patience. 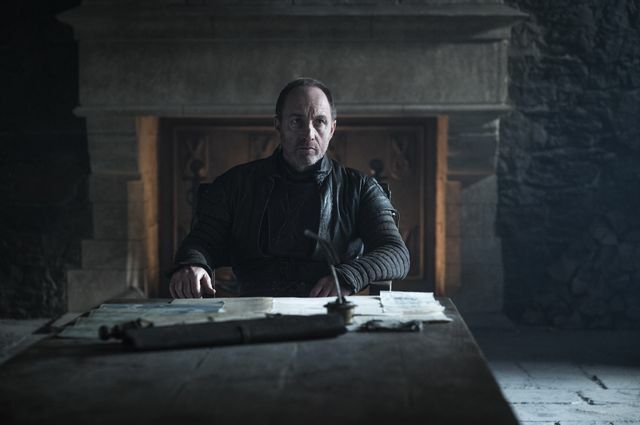 He gave Davos (Liam Cunningham) a final ultimatum to come out and they would be set free. However they were surrounding the room with men armed with swords and bows, presumably ready to kill them. 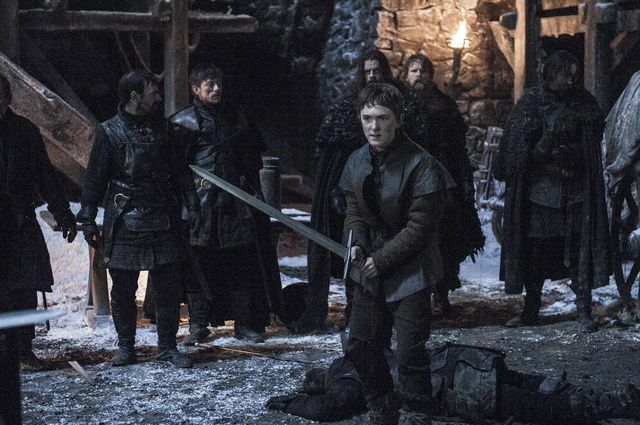 Inside Davos grabbed Longclaw and apologised for his fighting skills and they prepared for a fight. 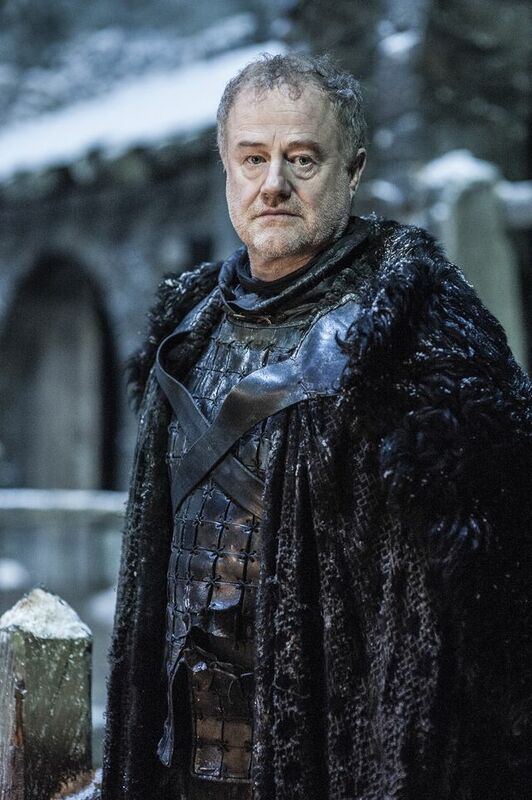 As Ser Alliser’s men started to smash the door down, Ghost growled. 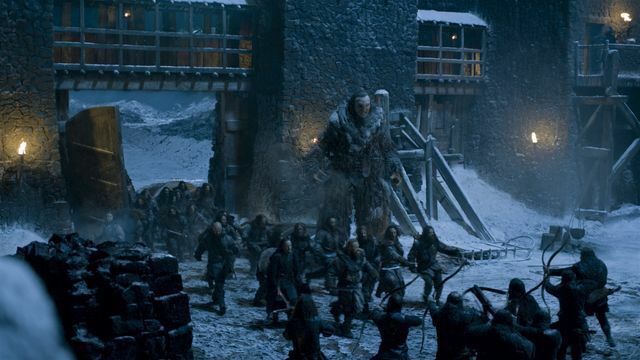 Before they could breach the door the gates of Castle Black were smashed open by a giant. 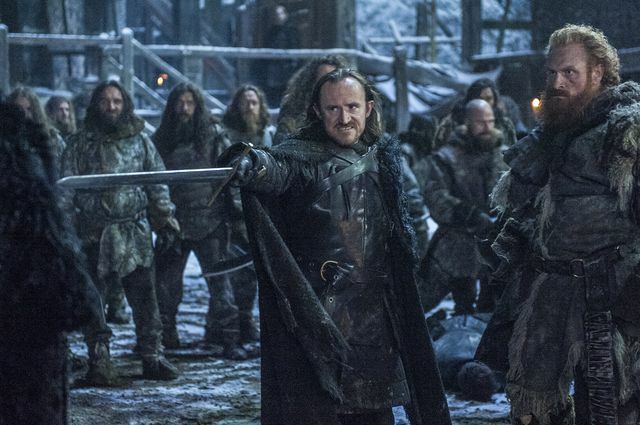 He was accompanied by Dolorous Edd (Ben Crompton) who had returned as promised with Tormund Giantsbane (Kristofer Hivju) and the Wildlings army. 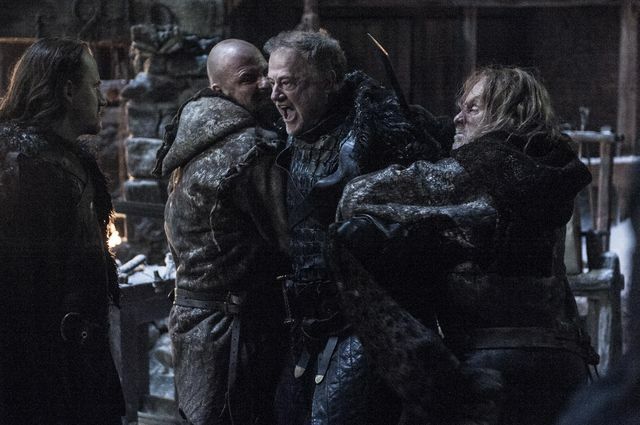 We were expecting a fight but the men of the Night’s Watch weren’t up for it. Outnumbered and in awe of the giant most stood still. One foolish archer fired an arrow into the giant who grabbed him and smashed him to pieces against the castle walls. 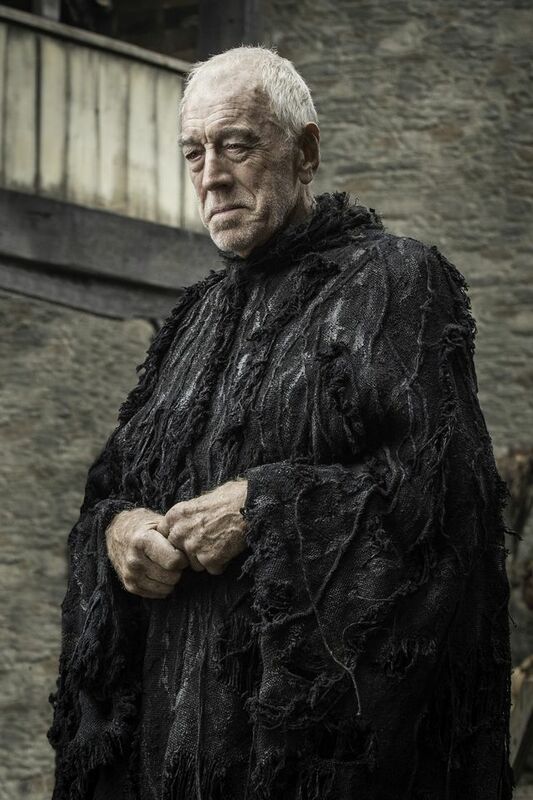 The remaining Night’s Watch surrendered along with Ser Alliser and were taken to the cells. 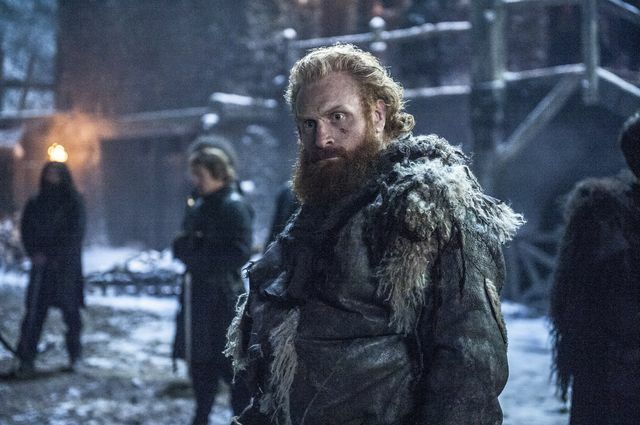 Tormund examined the body of Jon Snow (Kit Harington) and commented that it had taken a lot of knives to kill him. He announced he would get to work on building a pyre to burn his body. In King’s Landing we saw one of the locals poking fun at Cersei Lannister (Lena Headey) and her walk of shame ordeal. He soon paid the price when the Mountain smashed his head in. 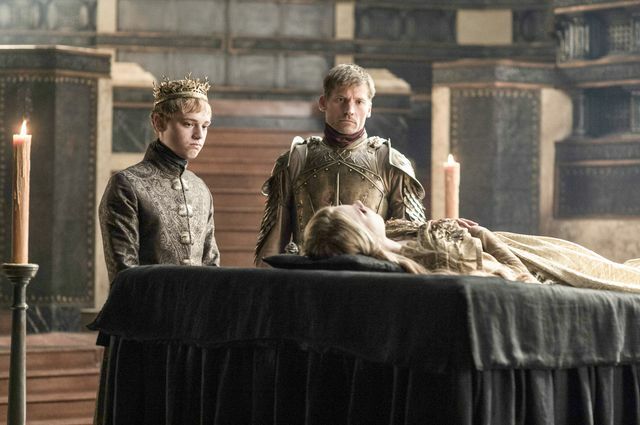 King Tommen (Dean-Charles Chapman) had ordered that Cersei was to stay in the Red Keep but she wanted to go to her daughter Myrcella’s funeral. She was blocked from leaving by the King’s Guard who were following the orders of the King. It looked like we might be treated to seeing what the Mountain is now capable of but the twelve or so nervous guards were let off. 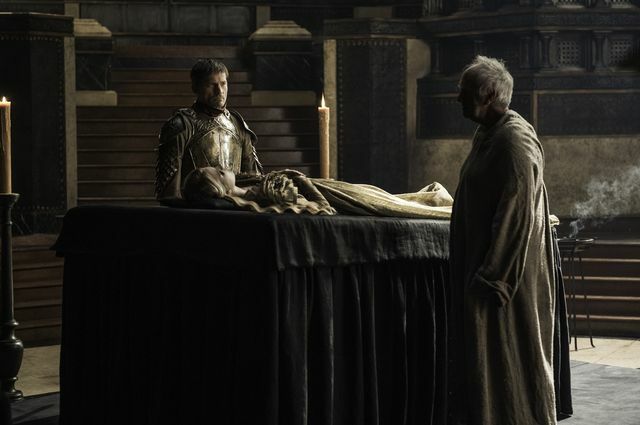 Tommen and Jaime Lannister (Nikolaj Coster-Waldau) visited Myrcella’s body. 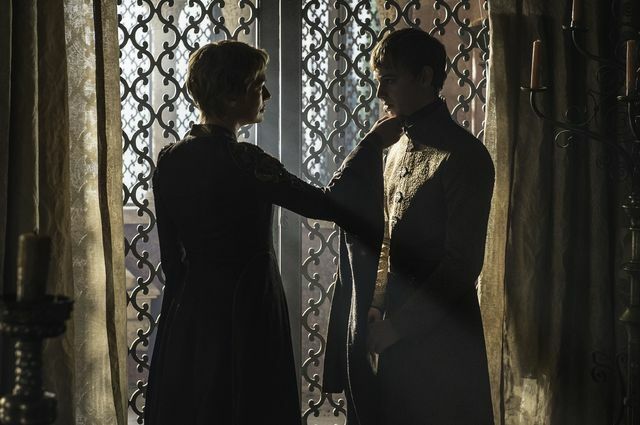 There Jaime urged Tommen to apologise to his mother. 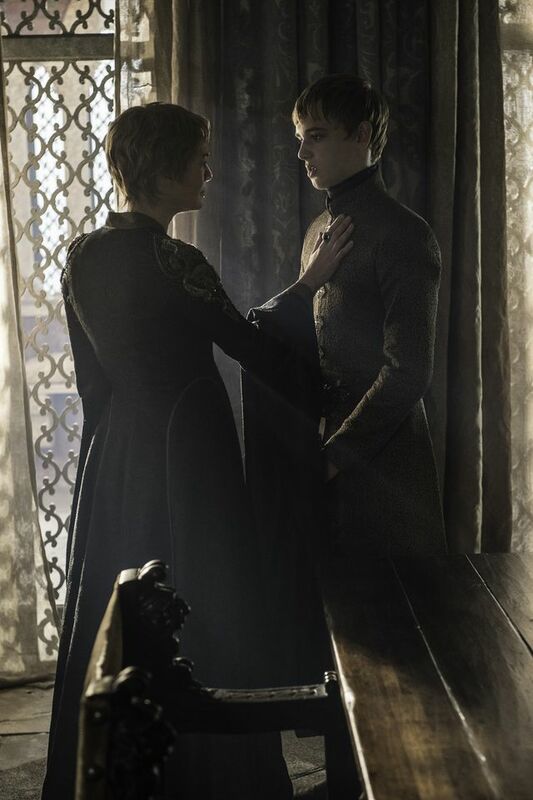 Tommen was frustrated that he hadn’t been able to protect his mother and Margaery and that he hadn’t stood up to the High Sparrow (Jonathon Pryce). 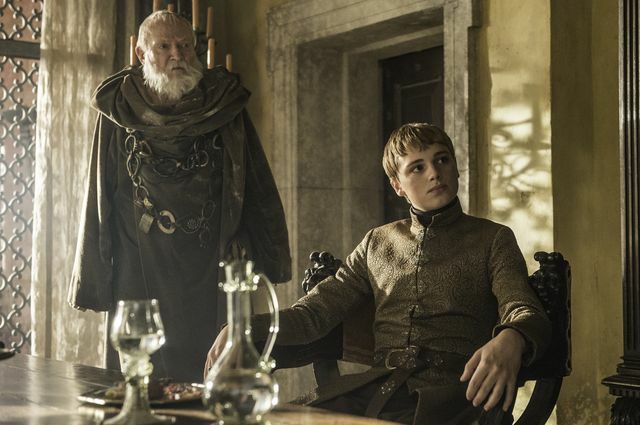 Tommen left to apologise to his mother and the High Sparrow came to talk with Jaime. He said Margaery would be held until she confessed. Jaime threatened to kill him and the High Sparrow said he could. However the Sparrows turned up and the High Sparrow pointed out that while Jaime might kill a bunch of them he couldn’t kill them all. Jaime backed down, for now. 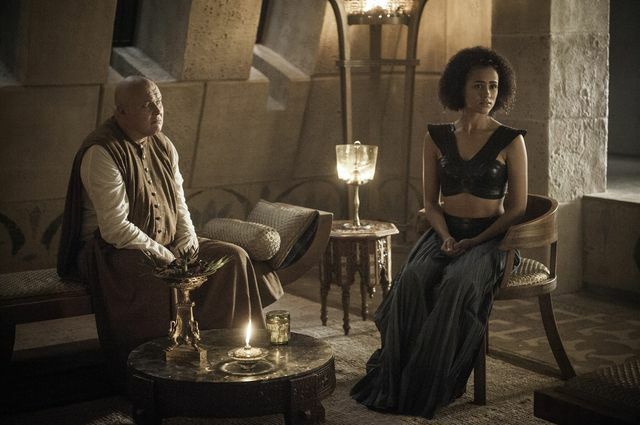 Across the Narrow Sea in Meereen, Tyrion Lannister (Peter Dinklage), Lord Varys (Conleth Hill), Grey Worm (Jacob Anderson) and Missandei (Nathalie Emmanuel) discussed what to do in the absence of Daenerys. 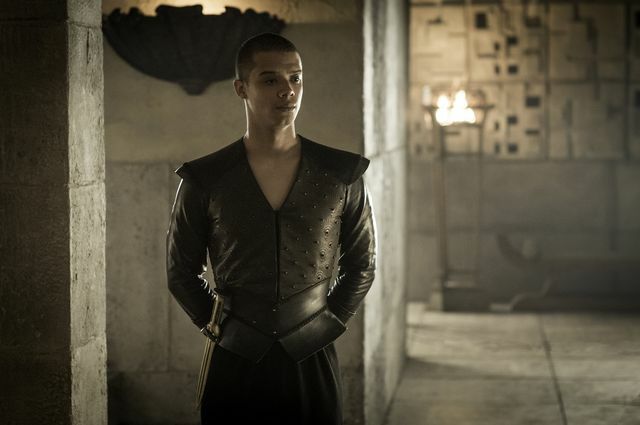 Meereen is now the only free city left in Slaver’s Bay with Astapor and Yunkai having been retaken by the Masters. 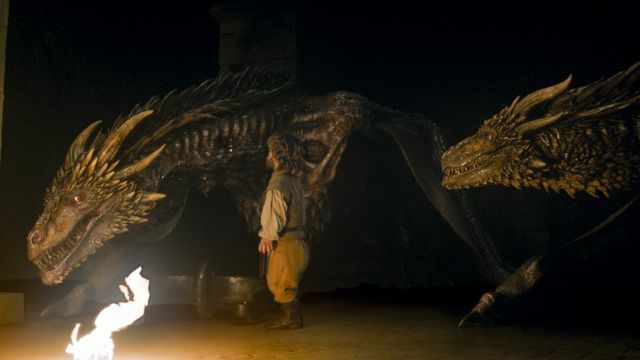 Tyrion decides that they need the dragons and hopes that they will see him as a friend. 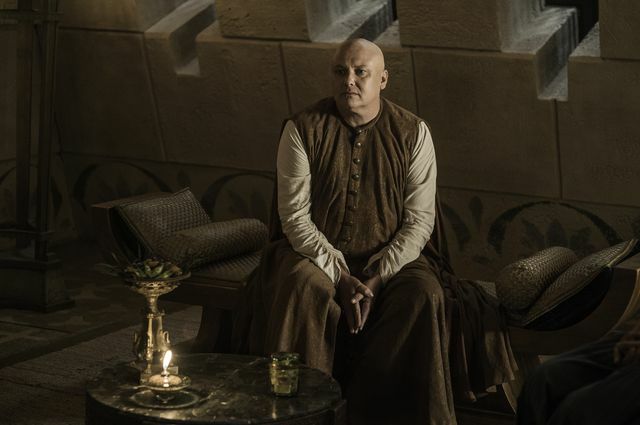 He and Varys popped down to the dungeon to see them. 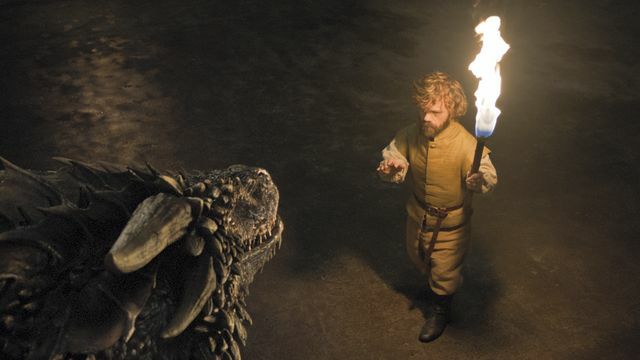 A nervous Tyrion walked up to the dragons and spoke to them. Incredibly they don’t harm him and let him get close enough to free them off their chains. We’re sure we’ll be seeing more of them soon. 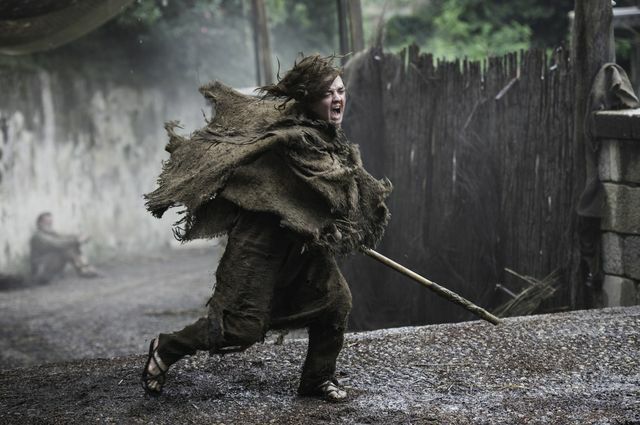 In Braavos, a still blind Arya Stark (Maisie Williams) continued her begging. The Waif (Faye Marsay) arrived again to give her another beating. 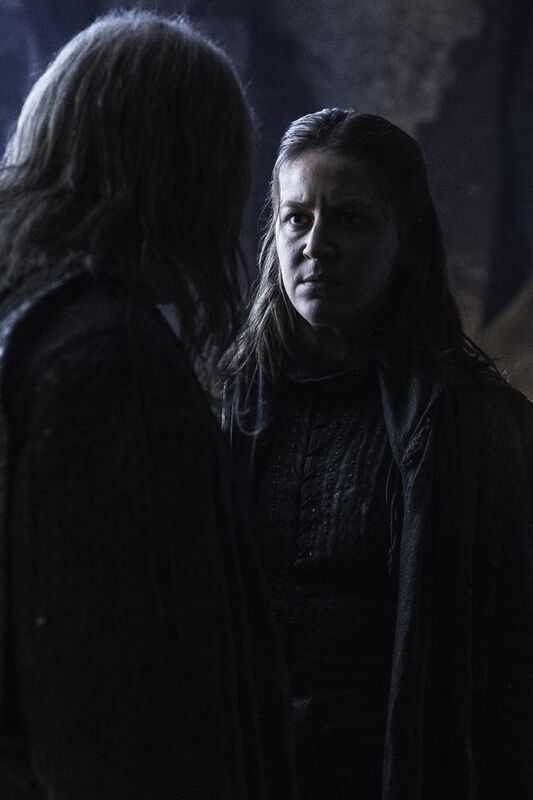 This time Arya put up a lot more of a fight and was stopped by Jaqen H’ghar (Tom Wlaschiha). He tried to tempt her by offering food, shelter and her vision back if she said her name. 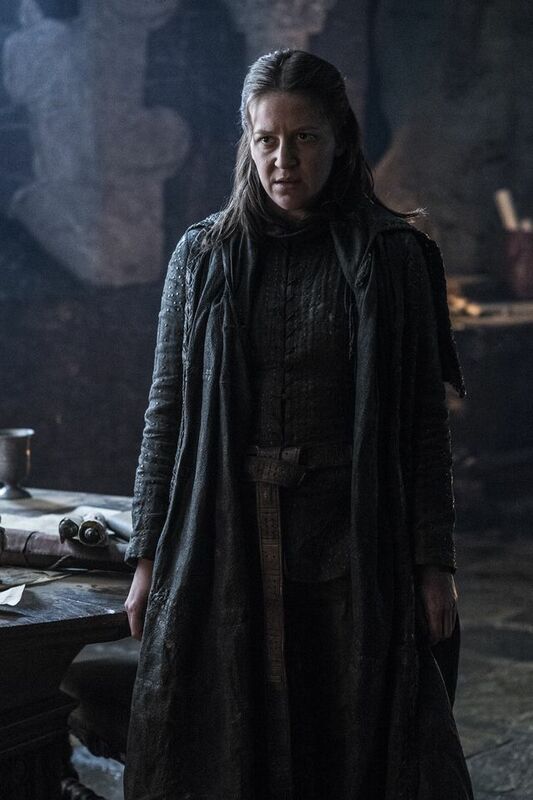 Arya has learnt her lesson though and only replied ‘no-one’ to his offers. 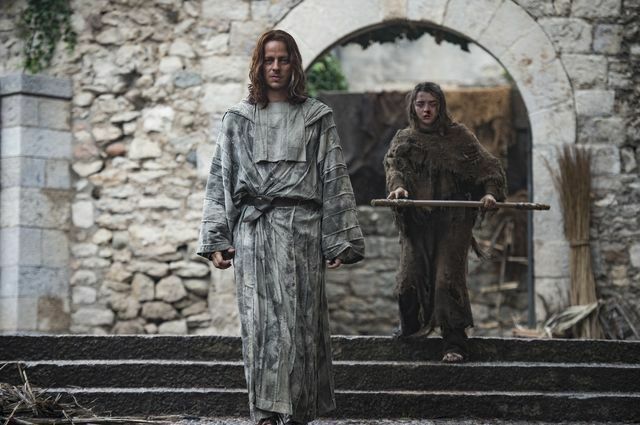 Satisfied, Jaqen told her to follow him as she no needed to live as a beggar. 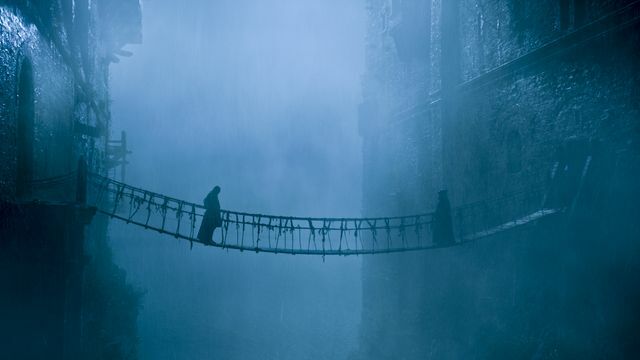 In the North, Roose (Michael McElhatton) and Ramsay Bolton (Iwan Rheon) discussed the escape of Sansa Stark (Sophie Turner) and Theon Greyjoy (Alfie Allen). Ramsay was sure she was headed for Castle Black and was keen to attack. He said they could also kill Jon Snow, not knowing he’s dead. 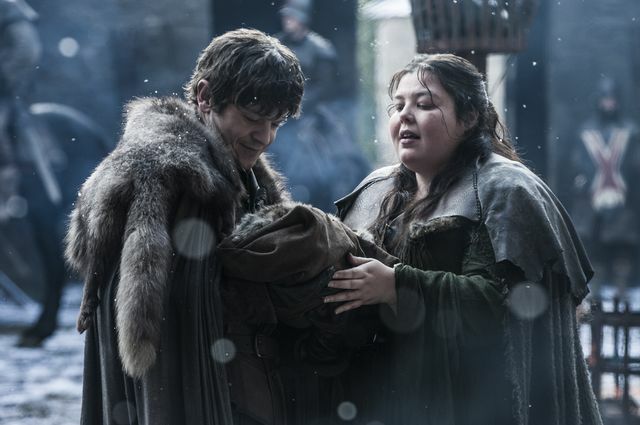 Roose received news that Walda (Elizabeth Webster) had given birth to a son. 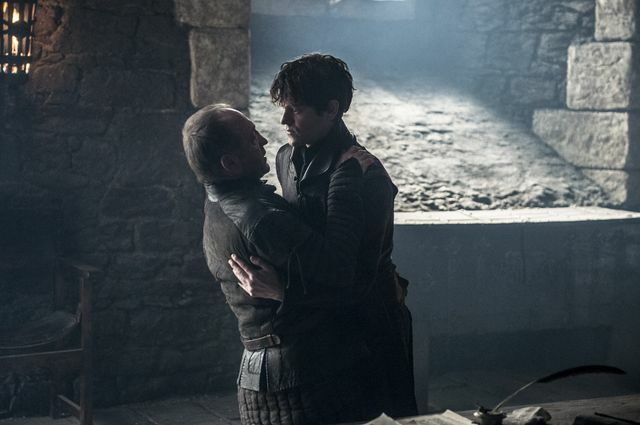 This was bad news for Ramsay who then stabbed his father through the heart. He then called for Walda and the new baby to be brought to him. He met them in the courtyard and asked to hold the baby. He was stood near a fire and we thought he might throw his new brother to burn to death. Instead he handed him back and took Walda to where the hounds are kept. Once inside he made them all sit, opened their cages and let them feast on Walda and the baby. Apparently he prefers to be an only child! 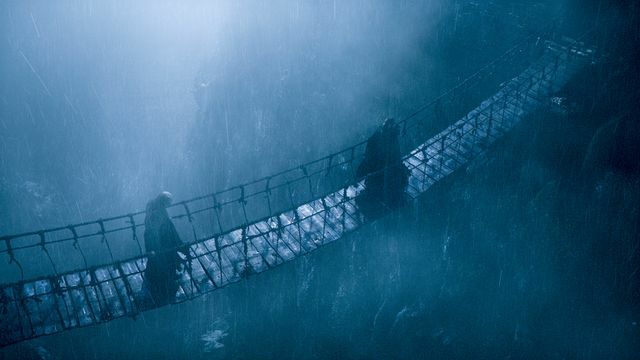 North of Winterfell we next joined Sansa and Theon who are now travelling towards Castle Black with Brienne (Gwendoline Christie) and Podrick (Daniel Portman). Sansa asked Brienne what she knew of Arya. 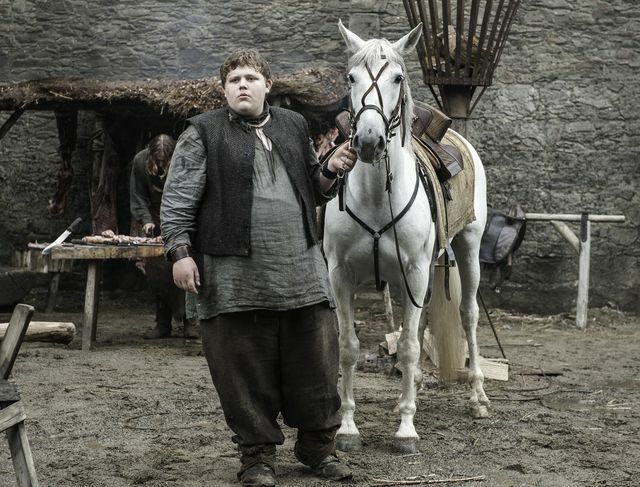 Theon announced he wouldn’t be going with them and asked for a horse so he could return home to the Iron Islands. 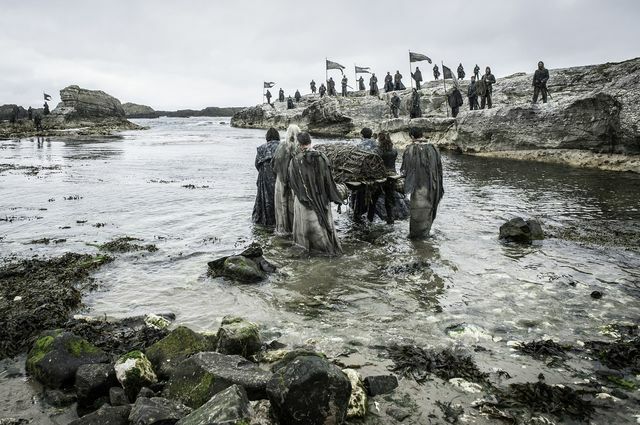 Next we visited the Iron Islands for the first time in ages. 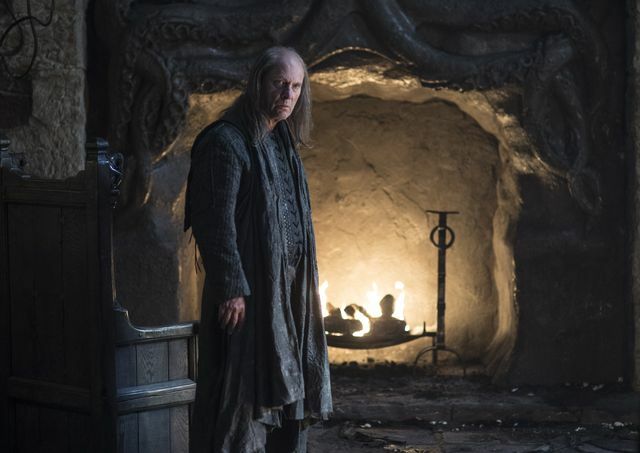 Here we saw Balon (Patrick Malahide) and Yara Greyjoy (Gemma Whelan) talking about the current war with the North. Yara wants to end the war but Balon is keen to send more troops to attack. 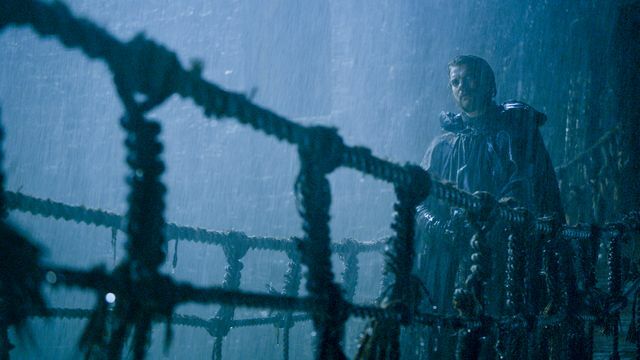 Balon headed outside and was crossing a rickety rope-bridge in a store when he encountered his brother Euron Greyjoy (Pilou Asbæk) who has apparently been away for a while. 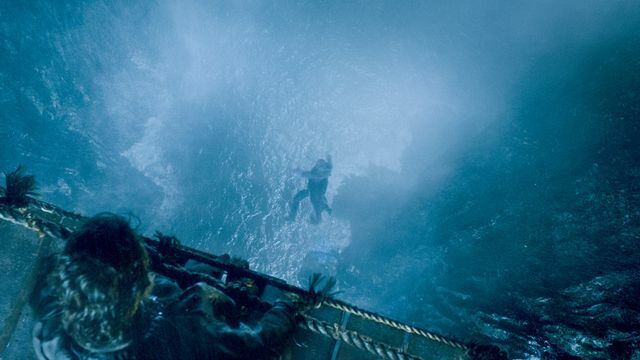 The pair clashed and Euron threw Balon off the bridge to his death. 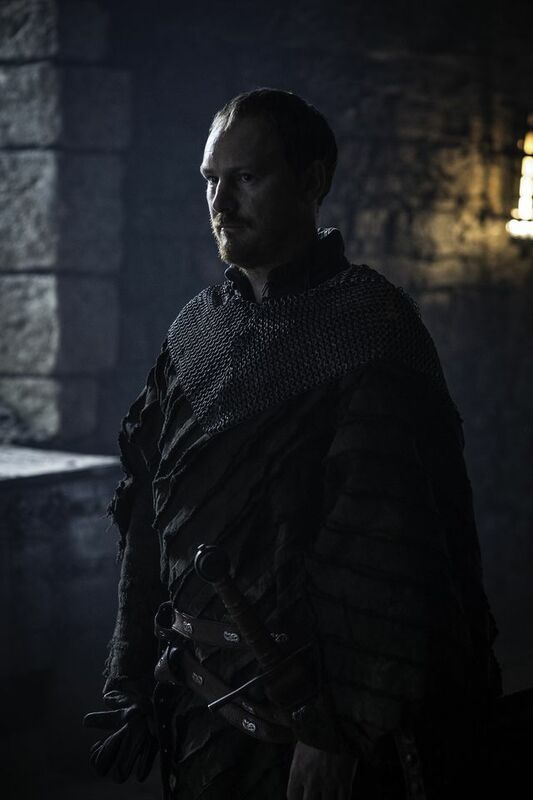 As his funeral Yara swore revenge against his killer. The second episode headed back to Castle Black for its final scenes. Melisandre (Carice van Houten) had thankfully put her necklace back on and was back to her younger looking form. Davos went to see her and asked if there was any way she could bring Jon Snow back from the dead. Melisandre has lost faith in the Lord of Light but eventually agreed to try. She washed Jon’s body clean of blood while Davos and Tormund stood watching, Ghost also lay at his side. She then gave his hair and beard a trim before tossing what she cut into the fire. Next she moved her hands across his body while chanting some kind of spell. She didn’t look confident and after some time they all left his body. Only Ghost remained in the room who suddenly sat up. 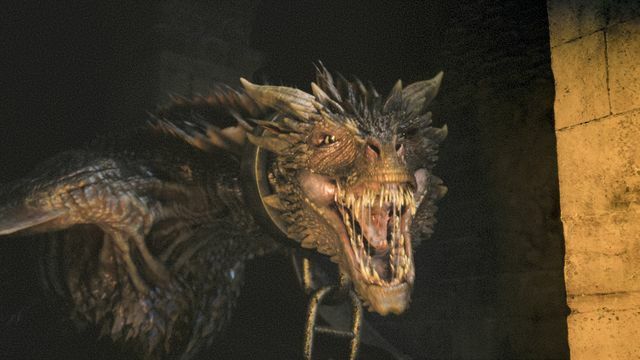 In the final scene Jon opened his eyes and gasped for air (YAY!). 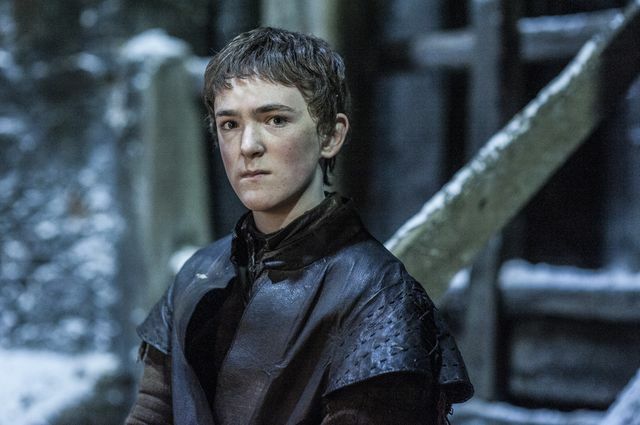 It looks like he’s no longer dead after all, which we presume is bad news for Ramsay and the White Walkers. Already looking forward to the next episode? Read our preview of Episode 3 ‘Oathbreaker’. Let us know your thoughts on Home in the comments below as well as your hopes for the rest of the season.